Concerned that the Crips and other gangs haven't monetized their larger-than-life brand, Killer Mike helps them launch a product to rival Coca-Cola. Are big dreams holding people back? Killer Mike tries to overhaul the education system by teaching vocational skills with a titillating technique. Conducting a different social experiment in each episode -- including only spending money in the black community for three days, helping the Crips cash in on its personal brand by launching a line of soda, rethinking public school's approach to education, and more -- Killer Mike puts forward powerful, controversial ideas to help reshape perception in America. 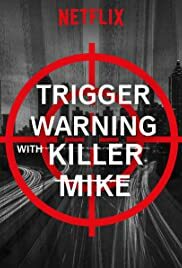 Never heard of Killer Mike, will look out for more of his stuff.. Edutainment and real fun to watch, binged the lot in one evening..
5 of 31 people found this review helpful. Was this review helpful to you?